Common Threads: Trends as a Form of Unity — The Avenue Magazine. There is comfort in uniformity. In today’s divisive world, fashion can offer a reprieve from the toxicity of a polarized political environment insofar that certain trends transcend current events. Sharing an affinity for something tangible, like the clothes on your back, with other people promotes new connections and discourages the all-too-familiar “Us vs. Them” dynamic. Trends are intersectional because the fervor behind fashion has no boundaries. What a person chooses to wear and how they choose to wear it is directly influenced by the choices of others. Because inspiration knows no color or creed, a particular style can emerge at any rung in the social ladder. Part of fashion’s appeal is its momentum in the pendulum of public opinion; surges in a particular style’s popularity are infectious. People often participate in the group dynamic behind a trend without needing to consider their background or beliefs. Denim, in particular, has sustained public favor for decades across differences in race, gender and class. 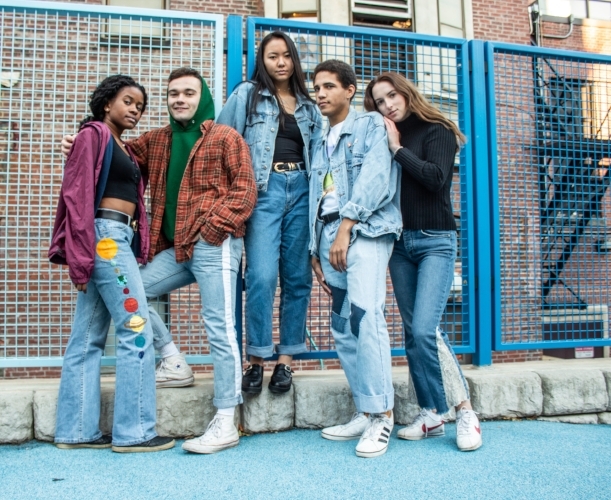 With the recent resurgence of denim jackets, patches and overalls, the trend has truly diffused throughout society regardless of political affiliation, sexual orientation, race or gender. There is beauty in the anonymity of a trend— wearing it and flaunting it are not restricted to one type of human. Natural differences arise in how people choose to wear what everyone is wearing. This natural dynamic highlights how individuality can thrive within unity. Putting personal touches on an overarching style or fabric, like denim, enables people to make trends their own. Experimenting with raw or clean hems, the type of wash or embroidery creates avenues for self-expression while retaining a connection to something larger than oneself. Lone voices from disparate sources unite under trends to form a cohesive yet heterogeneous form of protest. Historically speaking, women have been restricted in the realm of fashion due to their gender. After all, jeans began as simple pieces of men’s workwear because of their durability. Considering the general impracticality of womenswear, the popularity of these utilitarian garments among women is a direct result of rebellious women adopting men’s Levi’s. Because certain women were brave enough to wear men’s jeans, the denim trend today is united by a sense of androgyny. We should look to the world of fashion to find stability in a volatile time. The natural ability for people to bond over clothes points to a much larger human dynamic; people are much more similar than they think. There is power in our common threads.